Robert Dwayne Womack (born in Cleveland, Ohio, USA on March 4, 1944), is an American singer-songwriter and guitarist. Working in the soul and R&B genres, he achieved his greatest success in the 1970s and 1980s. Taking after their father, who sang gospel music, Bobby Womack and his brothers formed their own group. Sam Cooke took an interest in the Womack Brothers, and they recorded for Cooke's SAR record label in the early 1960s. Taking after their father, who sang gospel music, Bobby Womack and his brothers formed their own group. Sam Cooke took an interest in the Womack Brothers, and they recorded for Cooke's SAR record label in the early 1960s. Renamed the Valentinos, and encouraged by Cooke to go in a more secular and commercial direction, they scored a hit with Womack's "It's All Over Now" in 1964; the Rolling Stones' version of the song became a major hit, earning Womack generous royalty payments. Sam Cooke died in late 1964; Womack married Cooke's widow, Barbara, a short time later, creating something of a scandal. Things became even more complicated when his younger brother, Cecil, married Cooke's daughter, Linda. As a session guitarist, Womack worked at producer Chips Moman's American Studios in Memphis, and played on recordings by Joe Tex and The Box Tops. Until this point, around 1967, he had had little success as a solo artist, but at American he began to record a string of classic soul-music singles including the 1968 "What Is This" (his first chart hit), "It's Gonna Rain" and "More Than I Can Stand," all of which featured his elegant, understated rhythm-guitar work and his impassioned vocals. During this period he became known as a songwriter, contributing many songs to the repertoire of Wilson Pickett; these include "I'm in Love" and "I'm a Midnight Mover." After moving to the United Artists label in the early '70s, he released the album Communication, and on an album with guitarist Gabor Szabo introduced his song "Breezin'," which later became a hit for George Benson. He also became known for his interesting taste in cover versions, essaying Fred Neil's "Everybody's Talkin' " as well as "Fly Me to the Moon (In Other Words)" and James Taylor's "Fire and Rain'" and "California Dreamin'." Perhaps his most well-known work from this period is as guitarist on Sly & The Family Stone's 1971 There's a Riot Goin' On. He continued to have hits into the '70s; these include "Lookin' for a Love" (a remake of his 1962 Valentinos single), "Across 110th Street," "Woman's Gotta Have It" (covered by James Taylor in 1976), "You're Welcome, Stop on By," and the masterful "Daylight." All are excellent examples of burnished yet gritty 1970s soul music, and reveal a pop-music sensibility akin to that of Marvin Gaye or Curtis Mayfield. Bobby Womack's 1981 album The Poet was a surprise hit and contained the hit single "If You Think You're Lonely Now." K-Ci Hailey, a notable admirer of Womack's work, covered "If You Think You're Lonely Now" in 1994. The song is referenced in Mariah Carey's song "We Belong Together", a number-one hit in June 2005. Carey sings "I can't sleep at night /When you are on my mind / Bobby Womack's on the radio / Singing to me: 'If you think you're lonely now.'" Film director Quentin Tarantino used "Across 110th Street" (which, in a different version, had been the title song of the 1972 movie) in the opening and closing sequences of his 1997 film Jackie Brown. A 2003 Saab commercial shone a spotlight on Womack's interpretation of "California Dreamin'". In 2010, Womack contributed lyrics and sang on "Stylo" alongside Mos Def, the first single from the third Gorillaz album, Plastic Beach. Womack was told to sing whatever was on his mind during the recording of "Stylo". 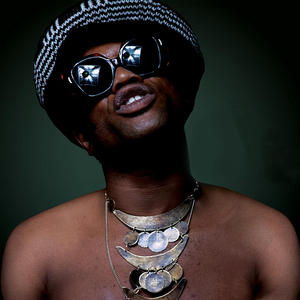 "I was in there for an hour going crazy about love and politics, getting it off my chest", said Womack. He also provides vocals on the song "Cloud of Unknowing". In 2010 Bobby Womack appeared on the main pyramid stage at Glastonbury with the Gorillaz. The Bravest Man in the World Songfacts reports in 2012, Womack's first album of original material since 1994's Resurrection was released. The Bravest Man in the World was produced by Damon Albarn of Gorillaz and XL Recordings boss, Richard Russell.